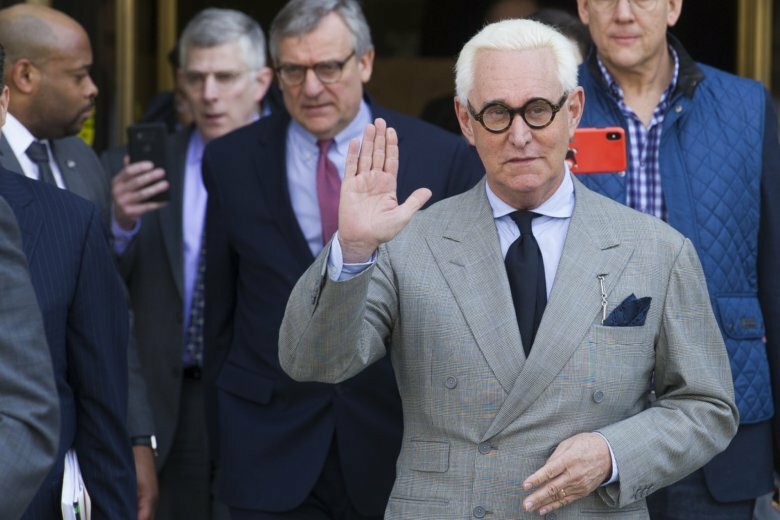 WASHINGTON (AP) — Trump confidant Roger Stone will go on trial Nov. 5 on charges he lied to Congress, engaged in witness tampering and obstructed a congressional investigation into possible coordination between Russia and Donald Trump’s 2016 presidential campaign, a federal judge said Thursday. U.S. District Judge Amy Berman Jackson said Stone’s trial will take about two weeks. She is still considering whether the self-described dirty trickster violated a court order that prohibits him from discussing his criminal case with an introduction to his new book that criticizes special counsel Robert Mueller, whose office is prosecuting Stone. Stone appeared stoic as his attorneys discussed timing for filing motions in the case. Unlike at previous hearings, prosecutor Jeannie Rhee from Mueller’s office handled arguments for the prosecution on Thursday. At other court appearances, prosecutors from the U.S. attorney’s office had spoken on behalf of the government. He has pleaded not guilty to the charges, which stem from conversations he had during the campaign about WikiLeaks, the anti-secrecy group that released material stolen from Democratic groups, including Hillary Clinton’s campaign. Stone has maintained his innocence and blasted the special counsel’s investigation as politically motivated. Rhee said the government has turned over about nine terabytes of documents and other evidence to the defense team. The judge also set deadlines for Stone’s lawyers to file any possible motions seeking to dismiss the case. As he left after Thursday’s hearing, Stone rebuffed attempts to get him to discuss his case. “No fireworks,” he said as he made his way through a crush of television cameras outside the courthouse.